DSI leadership and employees both put time and effort into improving the local community for its residents. Our commitment to corporate philanthropy provides our team with a sense of shared purpose that guides our actions towards building a brighter future for those in need. In order to enable community organizations to make the most of the funds and resources we invest in them, DSI has established partnerships with a range of organizations dedicated to improving different aspects of Texan and New Mexican life. We’re proud to highlight some of our most active partnerships and to recommend our customers and business partners donate their own time to advancing these causes. 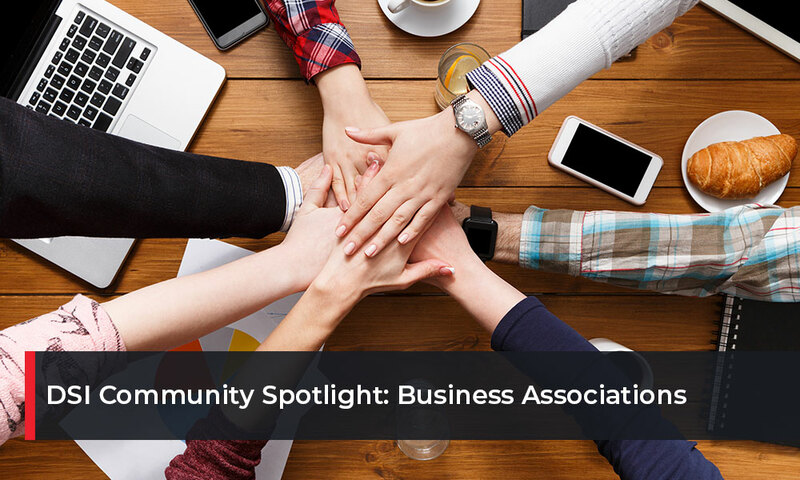 The Albuquerque Community Foundation is a publicly supported philanthropic institution that helps guide the local nonprofit sector by managing donation campaigns and helping philanthropists make the most of their donated resources. The tax-exempt 501(c)3 public charity’s mission is to serve people in the greater Albuquerque area. The Albuquerque Community Foundation leads nonprofits towards solving complex community challenges like homelessness, hunger, and education. The Foundation’s work helps to ensure that nonprofits use donated funds and resources with optimal efficiency. The YMCA is one of the largest and most respected youth organizations in the world. Since its inception in mid 19th-century London, the YMCA has crossed borders and oceans to become one of the largest providers of childcare, youth sports, and fitness services in the United States and in 120 countries around the globe. The El Paso chapter started its services in 1886, expanding from a single bare room to a major facility with a modern gymnasium, community room, childcare facilities, and swimming pool. The El Paso YMCA serves between 10,000 and 15,000 Texan youth, relying on donations from partners like DSI to keep its doors open to people in need. Some of the programs that the El Paso YMCA administers include arts and culture-oriented youth programs, as well as sports and fitness-oriented youth development programs like swim lessons, community services, afterschool child care, and lifeguard training. The Aprendamos Intervention Team is a therapist-run organization that serves the needs of individuals who suffer from developmental delays. The organization offers speech-language therapy, occupational therapy, physical therapy, family therapy, and additional services to families in need. Beyond its therapeutic services, the Aprendamos Intervention Team also offers nutritional services, nursing services, and behavior analysis services to its local community. The organization’s team of 160 employees specializes in bilingual evaluation, and treatment for a range of disorders, with particular emphasis on infant mental health assessment, services, and interventions. The organization helps families address infant developmental delays and find solutions to improve children’s quality of life. It makes the very latest and most modern therapeutic advances accessible to families who need them the most. Share Your Care is a volunteer-based organization that specializes in adult day service focused on respect, dignity, courtesy, and compassion. It gives families an option to keep their loved ones out of institutional care centers while allowing caregivers the ability to maintain their families, work, and enjoy respite from their duties on an as-needed basis. Share Your Care offers its participants an engaging curriculum of daily activities, including arts and crafts events, exercise groups, musical presentations, adapted sports, focus discussion groups, cognitive classes, and more. It works closely with employment organizations to help individuals overcome employment challenges and build relationships in the nonprofit community. Share Your Care charges minimal fees for its services, and operates largely on donations from partners like DSI. The organization also relies on donors for furniture, food, office supplies, computers, books, and a variety of services. As a 501(c)3 nonprofit organization, Share Your Care donations are fully tax-deductible. DSI didn’t become New Mexico’s most reputable independent technology provider overnight. It distinguished itself from the start as a team of community-oriented professionals who care about their friends, families, and neighbors. Our involvement in the community has always been a part of our company’s identity, and we continue to leverage our successes towards serving our community. See more about our commitment to our New Mexico community.